The Walter Camp Football Foundation has announced its All-America Alumni NFL Offensive and Defensive Players of the week for games ending September 21. Adrian Peterson rushed for 134 yards on 29 carries as the Minnesota Vikings defeated the Detroit Lions, 26-16. Peterson was a three-year standout at the University of Oklahoma and rushed for 4,245 yards – the second-highest career total in OU history. Peterson set the school record with 1,925 yards in 2004 and was named a Walter Camp First Team All-American. Ryan Shazier recorded 15 tackles (11 solo) and had one quarterback sack, one forced fumble and one fumble recovery as the Pittsburgh Steelers defeated the San Francisco 49ers, 43-18. 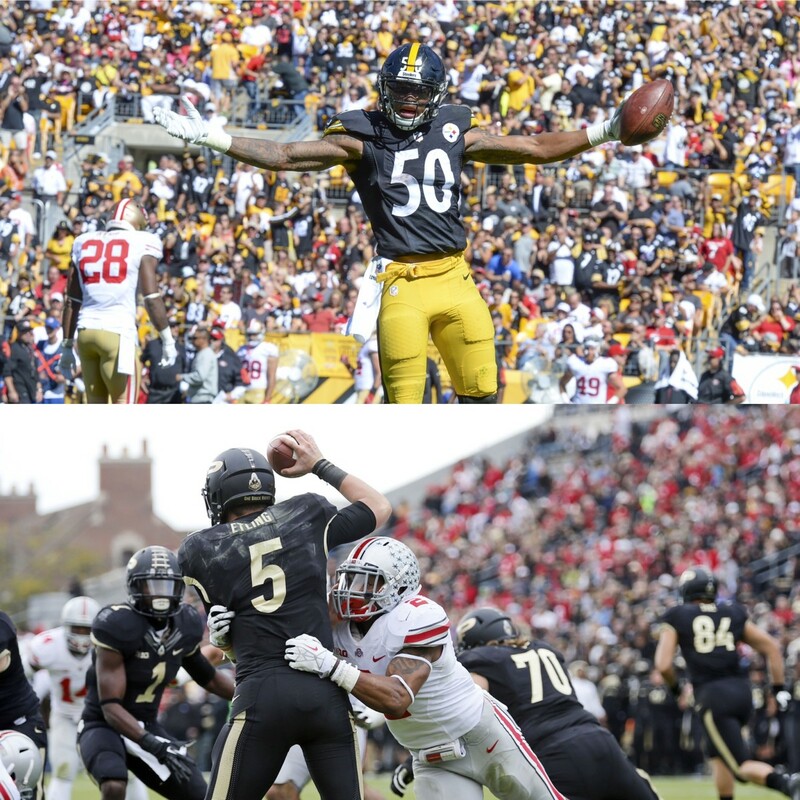 Shazier was a three-year starter for The Ohio State University, and earned Walter Camp Second Team All-America honors in 2013.